60% Motorcycle Accident Injuries Were Under Licensing Age. 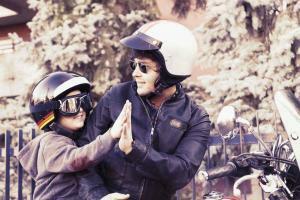 Motorcyclists often invite their children to ride along and children may be eager to accept the invitation. A motorcycle accident can cause serious injuries to an adult, and if it involves a child, it can be deadly. No matter how experienced and … [Read more...] about 60% Motorcycle Accident Injuries Were Under Licensing Age.